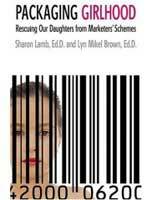 You are here: Home / Marketing Shaping Youth / Shaping Youth is Expanding: Sneak Peek and Needs Please? Feb 22, 2011 Breaking into The Power of Play series for a sneak peek into what’s occupying so much of my time…expanding Shaping Youth’s web presence. No secret that I’m a media maven that’s media phobic on the soundbite circuit of talk shows…Also that as a writer/producer I’m more comfy behind a cam than in front of it. 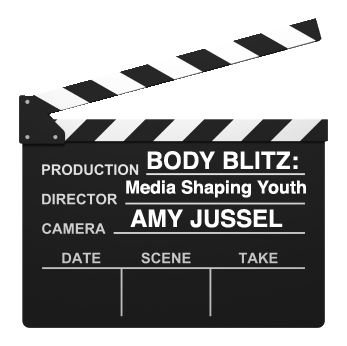 So for those who lobbied hard to “go with video, it’s the future” know that I won’t be doing web “vlogging” to host my own show unlike stellar advisory board colleagues Dr. Robyn Silverman or youthologist Vanessa VanPetten of Radical Parenting (advice written by teens) or the ever fabulous Actionist Jess Weiner (see her Talk To Jess YouTube channel …BUT…I AM adding more ‘show and tell’ video clips, and am definitely intrigued by Slideshare’s new free Zipcast for live chats to interact with readers on given topics, and share presentations in open source archivable search mode. I’ve tried to address ALL of your suggestions, especially about wading through copious quantities of content more clearly (4+yrs archived here!) and our board is REALLY proud of the rather unheard of “4 minute hangout time” our readers spend leisurely poking around. Clearly, busy parents, youth and SHORT FORM fanatics prefer visual headlines, mouse-over menus and uber-short snippets to pick and choose the subjects that appeal by thumbnail photo and by category. LONG FORM fans agree that analysis IS the Shaping Youth forte, for critical thinking, in-depth research and space to cover ‘all angles’…thus the mix-n-match ‘open it up but let it go long’ approach. We’ve added the social media ‘sharing’ basics, comment tracking in a given post, more robust search within the site, and live Twitter Feeds on the main page, and are busy partnering and collaborating to find fresh ways to give more visibility to our core crew of advisory board gurus on one main ‘at a glance’ page of “news you can use” dealing with media and marketing’s impact on kids by importing THEIR Twitter streams into one main portal hub here too. We’ll also post a criteria list for potential underwriters/foundations and aligned sponsors that mesh with our nonprofit ‘agenda’ which essentially is all about wellness of children, inside and out. We also welcome innovative models for organizational collaboration/journalistic syndication and ‘content swaps’ on an individual basis…and will no doubt start posting more film clips of our own media literacy work with kids using Animoto, FlipVideo and other easy to use, fun to play platforms. What do you think of a “Then & Now” feature? I’m thinking perhaps a multi-generational approach to certain media topics would be cool if there’s enough interest in deconstructing in that manner. I could see that one being both painful and hilarious, and am not sure what ages and stages would put their hands up to volunteer in user-generated content submissions from dating foibles to school yard antics…but it sure could sure be enlightening contextually, with new media threaded throughout. I’m working on a post right now addressing HS teams and adjunct ‘club sports’ and the ‘pay for play’ dynamic, headlined “Race to Nowhere: The Athletic Edition” to take the media microscope to endorsement deals, superstar syndrome, overzealous ‘recruitment,’ injuries, diehard parent posses, sexualization of female athletes, socioeconomic playing fields, diversity pre and post Title IX, etc. LOTS of big differences both positive and negative in just a few short years and media has played a HUGE role in same. So sound off on some of these formats and ideas please? Since I STILL haven’t taken the freecycle children’s books to Friends of the Library yet, add your comments to lend us a hand with this redesign via Twitter, my Facebook wall, or here below and be automatically in the running for one/all of these book selections. Just for adding your thoughts! What is a ‘must’ to make the site easier to navigate? How fast does it currently load for you? Is it too busy as is, keep simplifying? (we’ve added tabs and reduced clutter a lot) What’s the most irksome element for you? What topics do you want to hear more about in terms of media & marketing’s impact on kids? Let ‘er rip! “It looks, thankfully, that reports that the blog is dead are greatly exaggerated. You probably saw the headlines over the last few days that blogging has declined, a phenomenon attributed to the fact that blogging is not as popular an activity as it once was, especially among young people, those aged 12 to 17. The research that led to some of the premature obituaries comes from the estimable Pew Internet and American Life Project; the research also pointed out that, others of us, like those positively elderly who are 34 and up, are actually becoming more likely to blog. Among 34- to 45-year-olds, the report said blogging is up, on a per person basis, by 6%; among those 46 to 55 it increased by 5% , and among 65- to 73-year-olds, it increased by 2%. Those stats seem to speak more to the continued power of blogging than the reverse. The main thrust of the “blogging is dead” research (OK, I’m putting words in Pew’s mouth) is that people have, to some extent, shifted their channels of self-expression to less labor-intensive platforms like Facebook and Twitter. True. But some of those same platforms are showing their biggest percentage growth among somewhat older demos. So, in other words, the older you get, one could argue, the more you have to say, and the more need you have for multiple platforms on which to say it. Some online commentary calls for a full-on blog post. Some just calls for a quick tweet to share a link, and other moments call for posting a slideshow of pictures on Facebook. Well, duh. The truth is that, for the umpteenth time, we’re simply looking at the splintering of media channels, a phenomenon that is as old as media itself. When a new route to content distribution comes along, existing media is forced to recalibrate around the new entrant. So, just as radio slowly stopped being the medium for drama in the 1950s with the advent of TV, blogging is no longer the principal route to connection and self-reflection, but one that is now being used for its special properties: its ability to be a true publishing medium for the masses. Tweets and status updates are publishing, too, but if you really want to ruminate, rant or recollect, blogging is probably your medium. While so far in this column, I’ve only focused on the Pew research, I’ve actually seen the last few weeks full of reminders that blogging is still very much with us. The first signal actually came from Gawker, when it decided to drop the traditional blogging interface for something that instead featured the most noteworthy news — a throwback to old media in and of itself. While some saw this as a step toward abandoning the blog concept, it’s more a sign of its evolution, especially if your little blog has turned into a real media property. (The blog killers were out in force for the Gawker redesign story too; the headline about it from The New York Observer said, ominously, “The End of Blogging.”) But my guess is that for the most part, the back-end for Gawker bloggers is just about the same; it’s only the interface that’s different. The immediacy, linking and comments that make blogging blogging are all still there. Then, after I settled on this as a column topic this week, I got an email from SAY Media (the new name for the merger of Video Egg with Six Apart), giving me the heads up on the SAY 100, a list of top voices in ten topics (irrespective of what blogging software they use). The list was curated by leading voices in each topic, such as Clay Shirky, Seth Godin and Jane Pratt — like many of us, SAY is down on algorithms. Granted, there’s a strong business motive behind SAY’s list, since the company’s aim is to help influencers like these — and itself — make money. Still, it reminded me that some of the best things I read online are blogs, from AndrewSullivan.com to Mashable. It’s hard to get the same amount of influence as the people in the SAY 100 without blogging; for them, Facebook and Twitter probably serve more as facilitators for growing their influence. Then, this morning, I did my usual a.m. troll through nytimes.com to discover that the cover story of this Sunday’s magazine is on the “Queen of the Mommy Bloggers” — the founder of Dooce.com — who seems to be making in the healthy seven-figures from what started out early in the ’00s as a site that got roughly 60 visits a day. Dooce may represent the dream that many of us failed to realize with our blogging: the chance to turn ourselves into media stars who could leave the corporate world behind and make millions from uploading our thoughts. But, does the fact that there are only a handful of Dooces mean that blogging is effectively dead? Um, not on your life! Of course, I write all this as someone who is toying with reviving her personal advertising blog, Adverganza. Maybe those dreams still persist, and my subconscious aim is to get you all to read this blog.